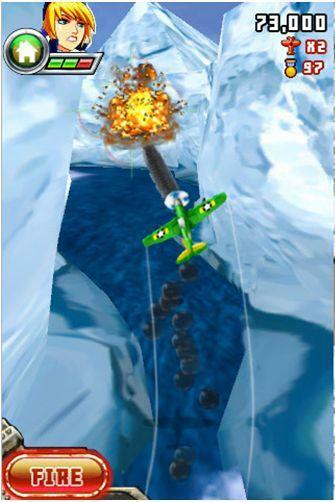 "Gameloft has produced a new game for the iPhone and iPod touch, Siberian Strike. Players assume the role of a 1940s fighter pilot, Elliott Freeman, whose mission is to track and destroy a Soviet cyborg. Users can select from one of four difficulty levels, and choose between accelerometer or touch controls. Levels are rendered in 3D, and confront players with a combination of combat and piloting obstacles. Multiplayer action is supported via Wi-Fi. Siberian Strike is selling for $6 through the App Store.